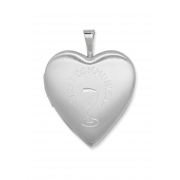 A great gift idea for a little girls First Holy Communion day from JCI jewellery that she will cherish forever, sterling silver heart locket with chain. 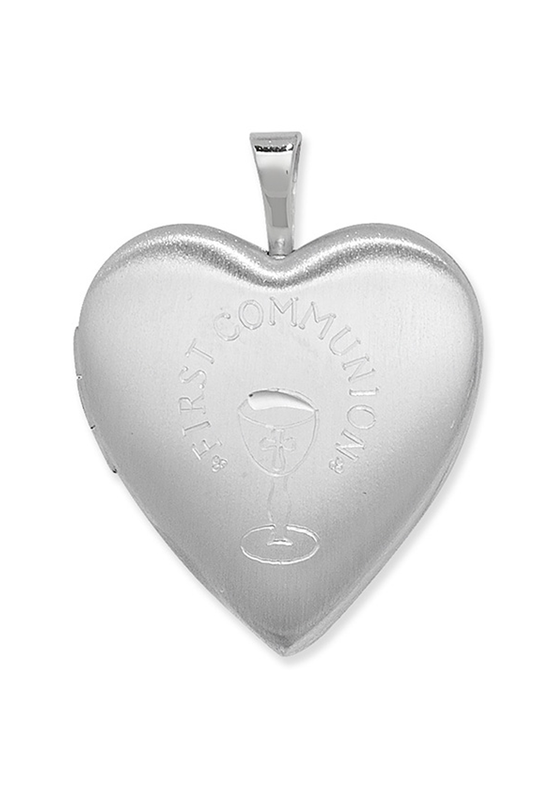 The front of the heart shaped locket is engraved with Holy Communion. There is a space to place two photos inside the adorable locket.